When-To-Go: Weekdays, 11:30 a.m. – 2 p.m. & 5 – 10 p.m.; Weekends 11:30 a.m. – 10:30 p.m. The 4-1-1: At a churrascaria, barbecued meats — including chicken, pork, beef and more — are often passed around rodízio style, where servers come to your table to slice off thin pieces of meat, all throughout your meal. Use a card with both green and red sides; green to signal to bring more, and red to indicate that’s enough for now. I’ll Be Back…: To check out the 4:30 – 6:30 p.m. weekday happy hour! 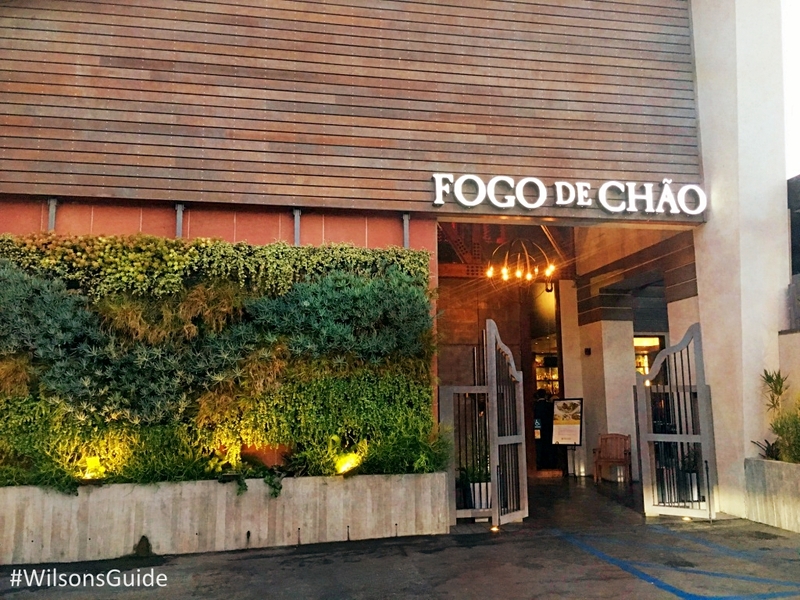 The high-end churrascaria Fogo de Chão Brazilian Steakhouse on the famed Restaurant Row section of La Cienega Blvd. recently introduced wines from VIK winery, based in Chile’s Colchagua Province. To celebrate the occasion, the Fogo team rolled out the red carpet for an evening of wine pours, its world-renowned fire-roasted meats and delectable Brazilian fare, during a special private event for members of the press. The night started off with all guests packing the bar. 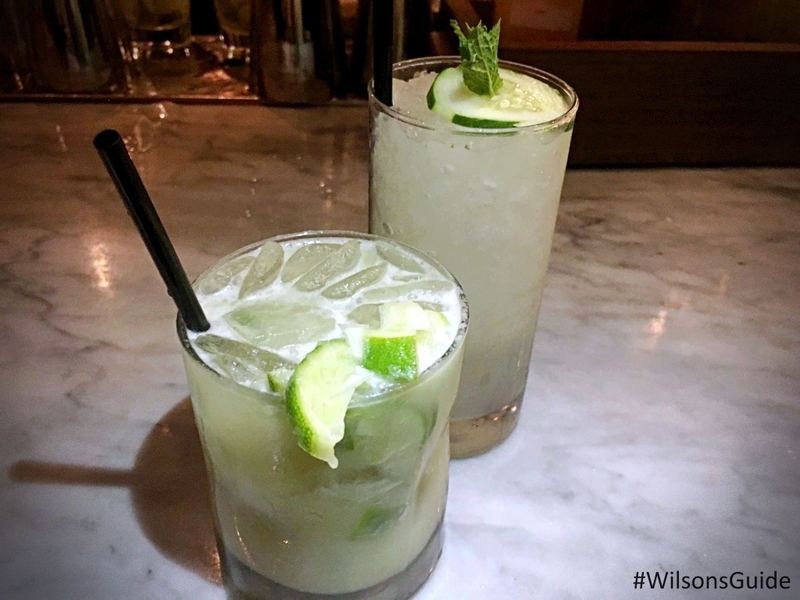 Passed bite-sized apps and two cocktails freely flowed, including the Mint Smash (on the right, below) and Fogo's version of a Caipirinha (on the left). 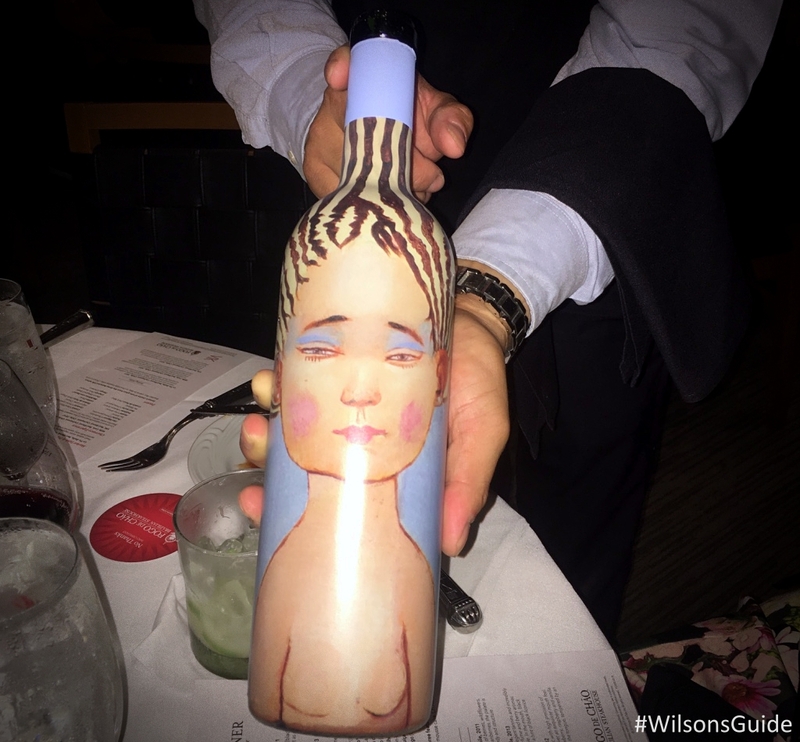 We were eventually ushered into a private dining area where Fogo de Chão CEO Larry Johnson and VIK Winery CEO Gaston Williams shared more about their brand new partnership. “The thing that attracted us to VIK was excellence,” Johnson proclaimed, adding that “Fogo and VIK were made for each other.” With more than 38 Fogo de Chão dining establishments in the U.S., it’s interesting to note that 60 percent of Fogo’s restaurants hail from South America, per Johnson. Williams walked us through VIK’s origins, history, location and wine-making process. 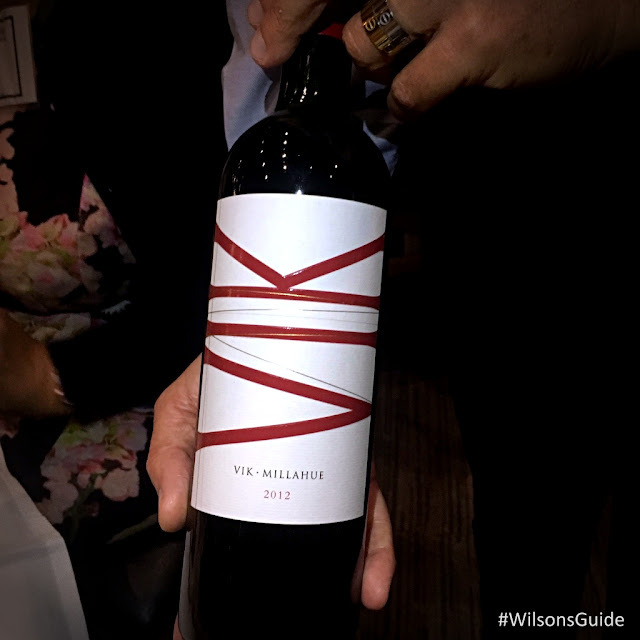 Launched in 2006 after a two-year search across multiple countries for the right property, the winery now offers three red blends — La Piu Belle, Milla Cala, and its namesake, VIK. He showed gorgeous photos of the horseshoe-shaped property that has six valleys and 12 sub-valleys, with mountains and lakes and vineyards scattered throughout. I was so ready to hop on a plane that night and head to the winery (fun fact: you actually can visit the property; there's a luxury hotel on its premises). What I found most interesting about VIK was its nuanced approach to the wine-making process. Striving to be as natural as possible, no pesticides are used and grapes are harvested at night. Plus, an optical sorter runs the best grapes that have been selected through an x-ray, to ensure they’re of the highest quality. The 2011 La Piu Belle was the first one up and was solidly smooth. 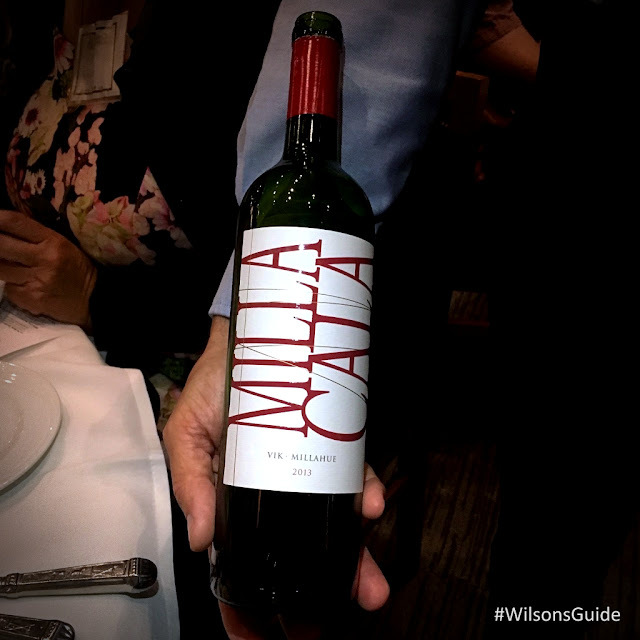 Sweeter than La Piu Belle, the 2013 Milla Cala had a bit more bite to it. The 2012 VIK had the most body and was the most oaky. We were advised to let it sit for a few moments prior to tasting it. 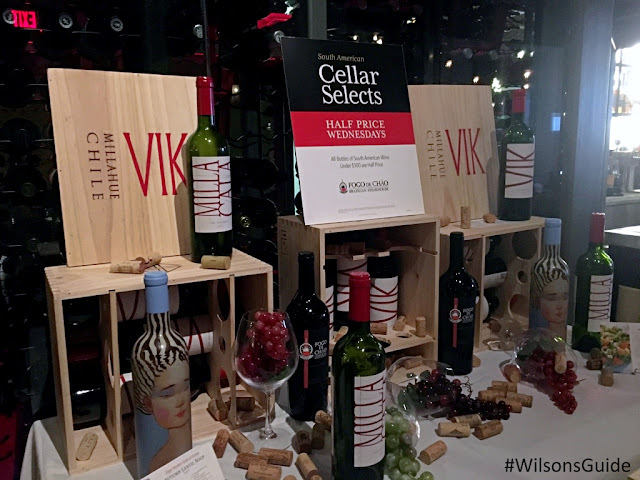 Also interestingly, La Piu Belle and VIK have the same grape concentration but come from different parts of the winery's land, ultimately giving them such unique and distinctive characteristics. 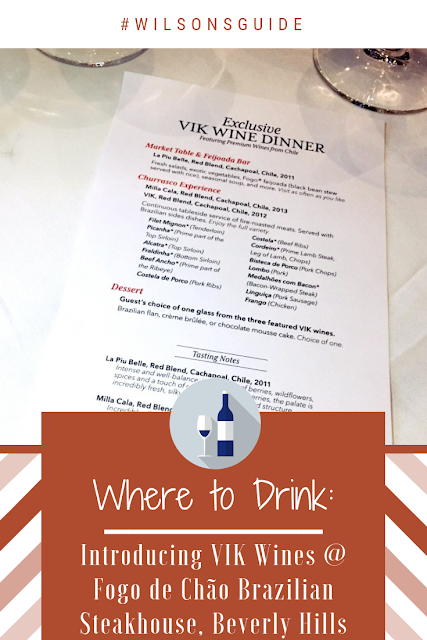 These VIK wines are available now at the Fogo Beverly Hills location, so the next time you visit, order a glass (or bottle!) and let me know what you think.